A lot of movies have come out in theaters or on DVD lately and I have seen them--albeit quite a bit after they were available to watch. As I'm not at the big comic-convention I figured now was as good as any time to put up a post a bout the flicks. Therefore, I now present a bundle of film reviews of stuff still in theaters (for however little remaining time) and features you can now catch on DVD. Melissa McCarthy is quite funny, the key is to give her good material. This movie most of the time has decent material, but is rarely laugh-out-loud great. There is an amazingly talented cast to compliment McCarthy from Susan Sarandon as her Grandmother, to sadly brief appearances by Kathy Bates and Dan Aykoryd; this makes it all the more distressing that while there is an A+ cast they are performing generally B material. The plot is basically about how all-around loser Tammy and her grandma go on a road trip where various shenanigans play-out with some more interesting to watch than others. McCarthy does a good job making sure Tammy is never completely impossible to like, but also clearly kind of a jerk you might not want to spend too much time with. There is a romance aspect that seems a little tacked-on but is at least nice, and any scene with Sarandon tends to keep your attention as she is one incredibly skilled actress. That said, I just wish there were more worthwhile things for these characters to actually do in the movie. 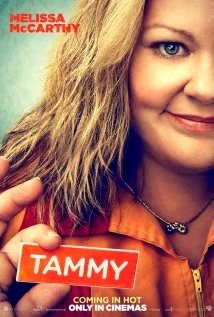 I may sound negative about "Tammy" so don't get me wrong, there is a lot to like in this production. The thing is, there just isn't too much I loved. The result is a movie that is above-average thanks to an expert cast doing what they can with what they are given, but an end result that is nothing to write home about. Jon Favreau is at this point most known for his directing (and appearing in) the first two "Iron Man" movies. While he did a great job with those, before Favreau was doing big-name movies he actually was most known for his more independent-minded films. 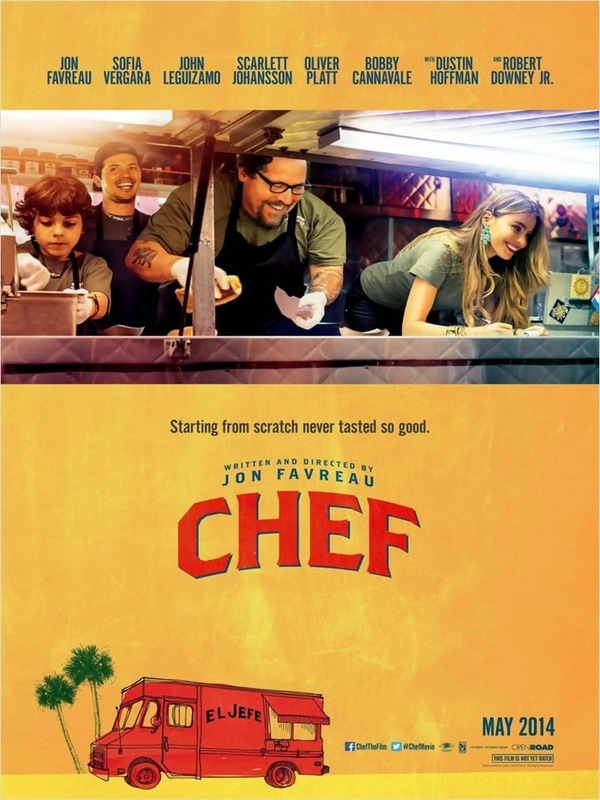 "Chef" marks Favreau's return to that milieu, with his directing and starring in this low-budget (at least compared to his more recent works) movie about a professional chef who finds his at-first lost creative voice after growing tired of always being stifled by the restaurant-owner who is bossing him around. One wonders if there is an autobiographical metaphor at work here as the food-artist (Favreau) struggles to get across his vision while the owner (played as wonderfully monstrous by Dustin Hoffman) limits his abilities until eventually our protagonist gets fed-up and quits--with the rest of the movie focusing on him "getting his groove back" be it in the kitchen or trying to bond with his son whom he's been emotionally distant from since separating with his wife. It may be a stretch to think Favreau is trying to tell us something about how he feels about those big block-busters he directed as compared to smaller movies such as this, but there has to be some subtext there. While the movie may have a smaller budget, Favreau clearly has made some well-known friends as bigger-name actors grace the screen even if for only a little bit, be it Scarlet Johansson as the restaurant hostess, or a delightful one-scene bit with Robert Downey Jr. where he and Favreau riff off each other with the kind of skill only two expert actors who are also good friends could pull-off. The cast is wonderful, and while the plot may be mostly familiar in how it plays out (our chef has professional and personal issues but over the course of approximately 2 hours everything works out), it is expertly done thanks to Favreau's directing and a script that shows not only care for its characters but a close attention to the art of food (it didn't surprise me to read that Favreau is a big-time foodie who loves the art of cooking). So yes, I greatly enjoyed the movie. 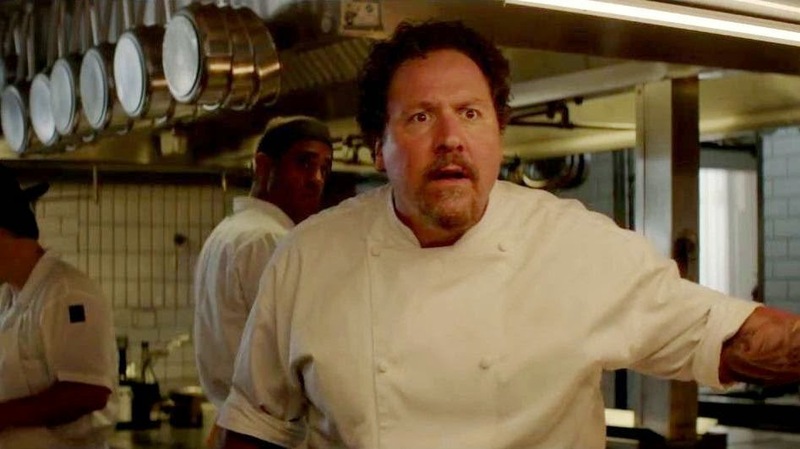 "Chef" doesn't break any new story-telling ground, but adds enough zest to a familiar recipe that it has enough skill and care to result in a movie that makes you feel both entertained and hungry by the time the credits roll. You probably can see this at a 2nd-run theater by now, although I caught it when it was still in regular cinemas. That said, I was one of maybe four other people in the theater who had finally gotten around to catching this. I'm glad I did finally see this movie though despite some minor flaws. 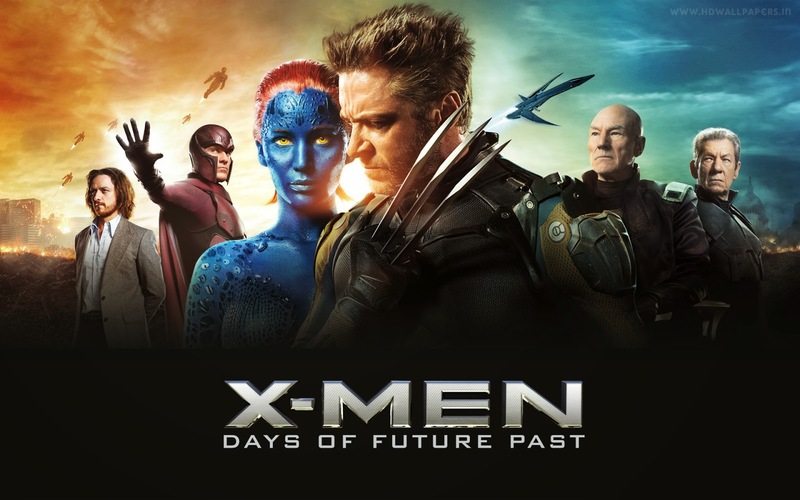 I really did enjoy this X-Men movie, even if I felt with such a huge cast there were a variety of characters that got barely any screen-time (Iceman got maybe a line or two, Havok said one sentence--I think--and Blink just sort-of did her cool powers but never said anything) and other folk who did get fleshed-out a little but I would have loved to see more of (Peter Dinklage as Bolivar Trask was wonderful). Still, this is a movie that is both simultaneously a sequel to a prequel with the 1970's bits and the latest movie in the timeline with its scenes set in the future, a delicate balancing act that is expertly done. It basically fixes the time-line of the "X-Men" movies and all but eliminates "X-Men 3" from continuity with an altered version of the first and second movie being somewhat apparent as having taken place. 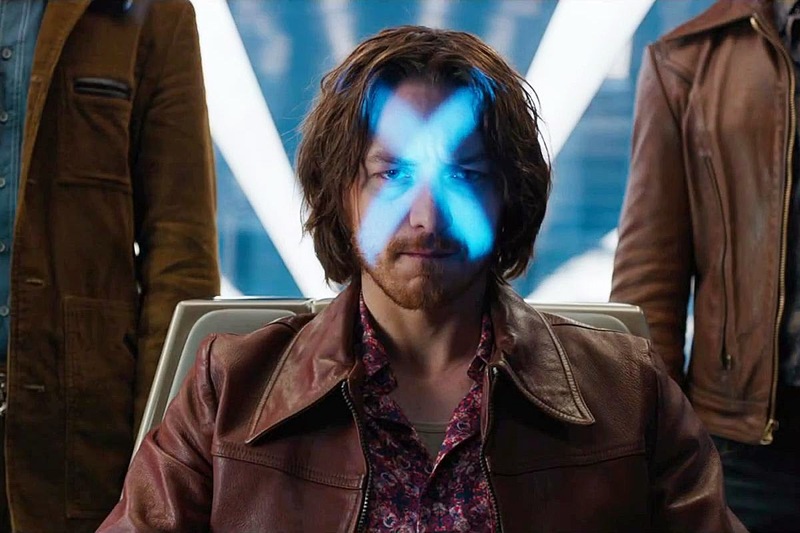 There are some irritating plot points that occur (for example: I would have thought Quicksilver was going to play a bigger role thanks to his powers, but doesn't), and major story elements that would seem important are just casually tossed out and then forgotten even though they would be worth exploring (Wait, JFK was a mutant? Why isn't that a big plot-point? ), but I still overall greatly enjoyed this latest X-Men film and think it sets up more movies to take place in the past while also freeing the franchise from being stuck as having to build-up to the earlier "X-Men" films...which took place later on, technically making them the latest films, aannnndddd now my head hurts. I haven't really described the plot, and that is because a lot of enjoyment comes from seeing the story develop and throw little surprises at you that reward those who've seen all the X-films (even the bad ones) and read some of the comics, but this can still entertain a general crowd that has only maybe seen some of the flicks--although you really need to have viewed at least "First Class" to have the slightest clue what is going on, and of course the three main "X-Men" films will assist in your getting the maximum amount of enjoyment too (you can skip at least the first "Wolverine" movie as it is basically ignored and the 2nd one isn't that important except for its end-credit's scene that hinted at the start of this movie). 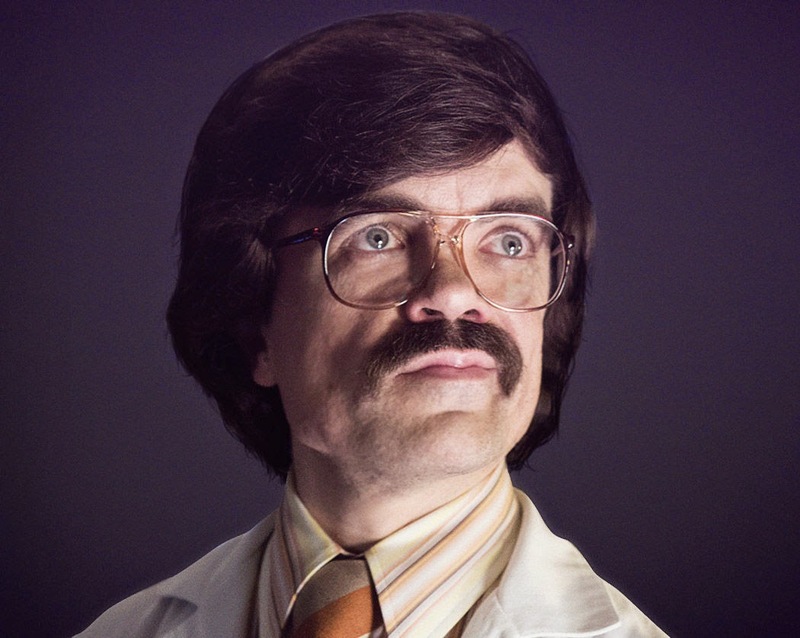 All-in-all, "X-Men: Days of Future Past" is definitely one of the strongest X-films, ranking up there with the 2nd flick in the original series and "First Class" despite it sometimes seeming like the sheer weight of continuity or vastness of the cast could cause the movie to collapse-in on itself at any moment (and it of course thankfully does not do that). Should you be able to still catch this in a nearby theater I would recommend doing so, or making sure to grab it on DVD when it comes out. Perhaps it is because I haven't seen the original "Robocop" for some time, but as sacrilegious as this sounds, I think I might have actually liked this version of "Robocop" more than the classic. Before everyone gets mad at me and starts screaming let me just explain why I feel that way. I'll first admit that the man who plays the titular Robocop is so boring I don't even remember the actor's actual name and will just call him "That Robocop guy" for the remainder of my review. 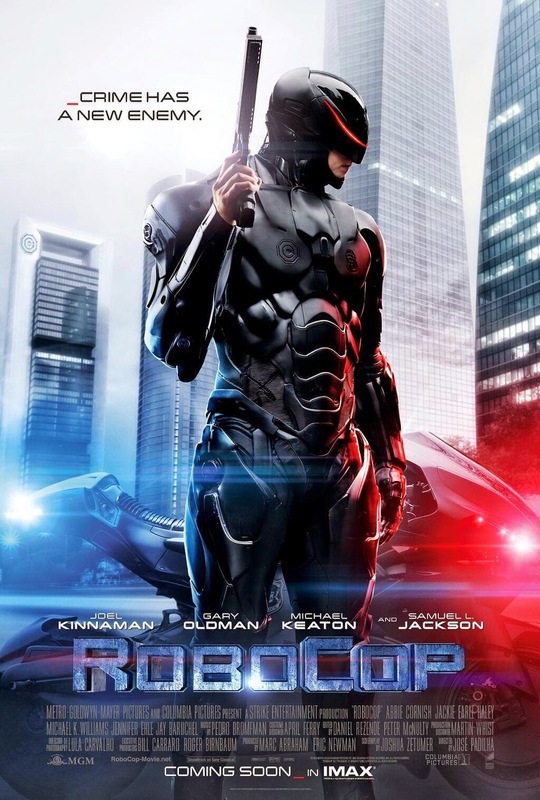 However, the great thing about this film is that it isn't just about that Robocop guy, it is about the themes that the existence of Robocop helps the film explore. From the question of US involvement in countries that don't want us there, to examining the sleazy business practices of the CEO behind the creationg of Robocop played expertly by Michael Keaton, the idea of what makes us human, if privatizing the police is a good thing, and all kinds of concepts are touched upon. 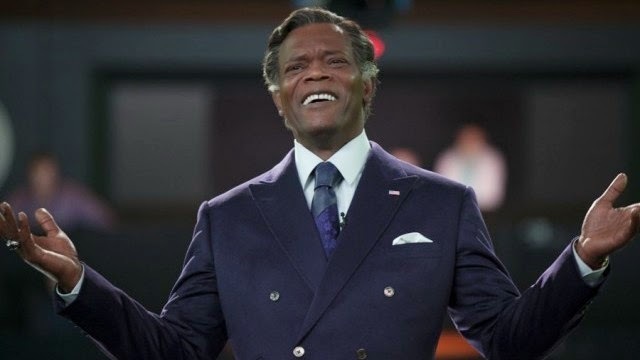 From the faux-politics show hosted by Samuel L. Jackson doing his best imitation of a futuristic-Bill O'Reily, to Gary Oldman presenting a scientist to us who is both at once sympathetic if also questionable in the actions he takes, the cast is amazing, with the aforementioned Keaton and Jackson stealing the show in any of their scenes. The question of US military-interference that I mentioned is expertly presented if only glossed over somewhat, but other aspects such as the exploration of what makes us human or a machine are touched upon too in a way that the original 1980's film explored, but which are even more relevant today in this era of machines that are getting better and better at imitating human behavior and emotions--with the point where they aren't just replicating our feelings but are actually feeling seeming to be approaching ever closer, something both at once exciting and terrifying. That Robocop guy may be dull as dirt, but the members of the supporting cast I named along with other folk (such as that Robocop guy's wife and his police-partner) are great, and the questions the film raises are fascinating to consider. As I said, perhaps I need to re-watch the original "Robocop" and see if it is even better than I remember, but for now I'm saying this more recent version of the movie is the best incarnation of the series I have seen. I quite enjoyed the first movie in this series, "The Raid: Redemption," and while this is also good I don't think it carries as much perfection as the first film has--then again, it also is a quite different movie in some ways. Whereas the first movie was a pretty lean hour and forty minutes, this clocks in at two-and-a-half hours if credits are taken into account. While the first movie was pretty light on plot until the end where it revealed a complex web of crooked cops, the sequel is very plot-heavy, operating as a sort of epic crime-saga that takes the characters from the first movie, introduces a bunch more, and then moves them out of a single tenement building into a whole city of corrupt and dangerous characters. 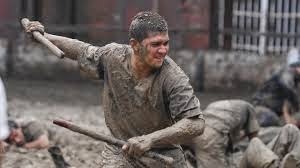 "The Raid 2" continues the plot of the first movie I suppose one could say, but also creates its own sprawling and dense stories too, sometimes to the detriment of the film. We get all these complex characters, learn their backgrounds, and spend a lot of time with them--which while interesting can make the movie drag a bit. While the first "Raid" was almost non-stop action, this is more an experience of a lot of plot and dialogue with the occasional incredible action scene inserted in just as the viewer is starting to get a bit bored. "The Raid 2" tries to be everything more than the first film but in doing so ends up a little less enjoyable. In terms of actual running time there probably is less action in this movie than in the first-one, which is fine when you have an amazing plot but the story-line here is strictly your usual, "Undercover cop is in-over-his-head," story meets, "Criminal empire starts to fall apart when a son with big ambitions finds them in conflict with his mob-boss father," with a dash of, "Hey look, quirky assassins!" thrown-in for good measure too. 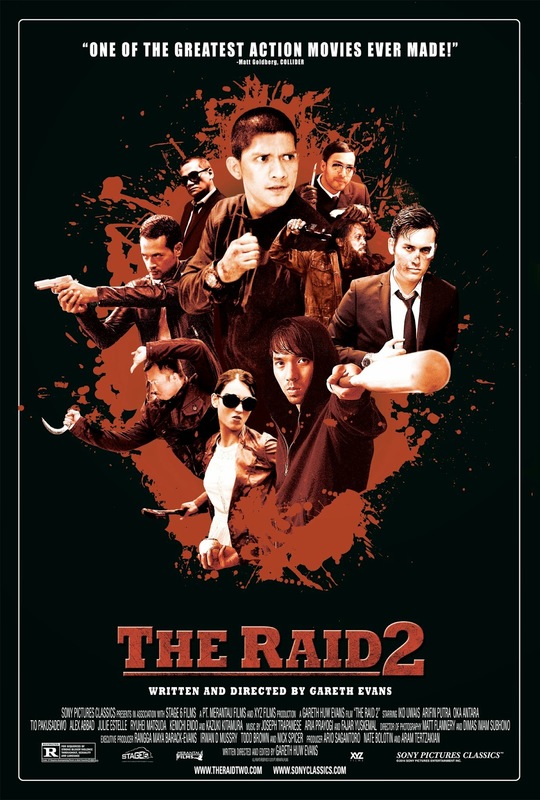 Still, while "The Raid 2" may not be the near-masterpiece its preceding entry was, it still is an enjoyable film, and one that has me looking forward to the hopeful possibility of a "The Raid 3". Were I to only take away one idea from this film, it would be that the song "Everything is Awesome" expertly drills its way into your brain, playing on repeat for hours upon your mental record-player (or MP3 player if you prefer a more modern metaphor). Were I to have another conclusion about the movie, it would be that this was a delightfully good film not just for children, but also for all those adults out there who grew up loving Lego-products. Both at once weirdly promoting individualism while also basically being a commercial for a toy product, "The Lego Movie" luckily doesn't end up being simply an advertisement for various products (Lego Batman, Lego Star Wars) but tells a legitimately good story that has a lot of heart in its main point that it is better to be a creative individual as opposed to another face in a dull crowd. 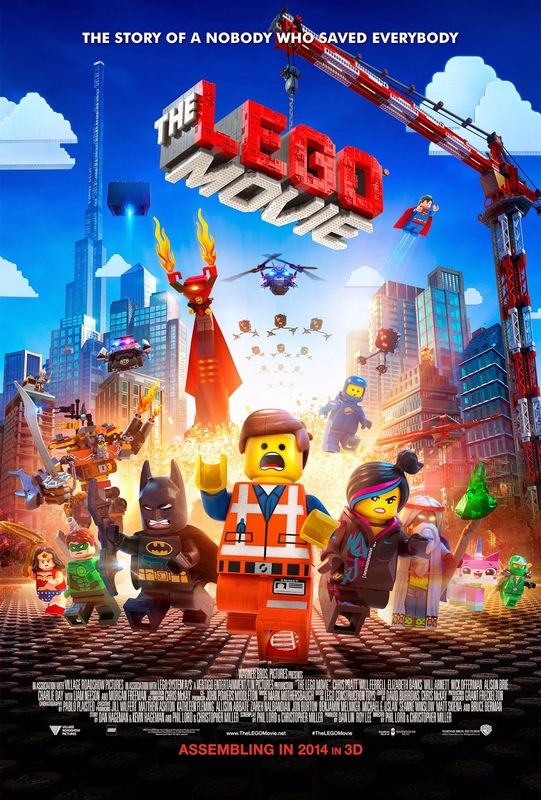 With a stellar cast providing voices (Morgan Freeman, Will Ferrell, Elizabeth Banks, the always-funny Charlie Day, and so forth) and an animation style that is computer-generated but also expertly-done to create an appearance of being like a true stop-motion endeavor, "The Lego Movie" excels at telling a story that is both at once intellectually and emotionally stimulating along with pleasing to the eyes. It is a great movie for both youth and adults to enjoy, and I would encourage anyone who has enjoyed playing with Lego-sets to check it out. Whew! Clearly I have seen an interesting variety of movies over the past while, and while I'm sorry I didn't review some sooner, at least I did now. So, go out to the theater/video-rental store/Redbox kiosk/movie-streaming website and enjoy yourself a movie, I did--multiple times!